The EU-Indonesia Business Dialogue (EIBD) 2018 was successfully held on Oct. 25, 2018 at Ayana Midplaza Hotel, Jakarta and was attended by around 500 participants. 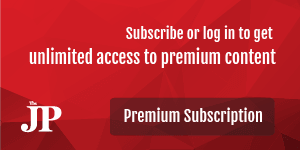 Started back in 2009, this annual high-level conference was the 8th EIBD and jointly hosted by EuroCham and the EU-Indonesia Business Network. It was also supported by the European Union, the Indonesian Chamber of Commerce and Industry (Kadin), the Indonesian Businessmen Association (APINDO), Kiroyan Partners, Klareco Communication, PRAISE Association, Sinergi Muda, The Jakarta Post, and Waste4Change. 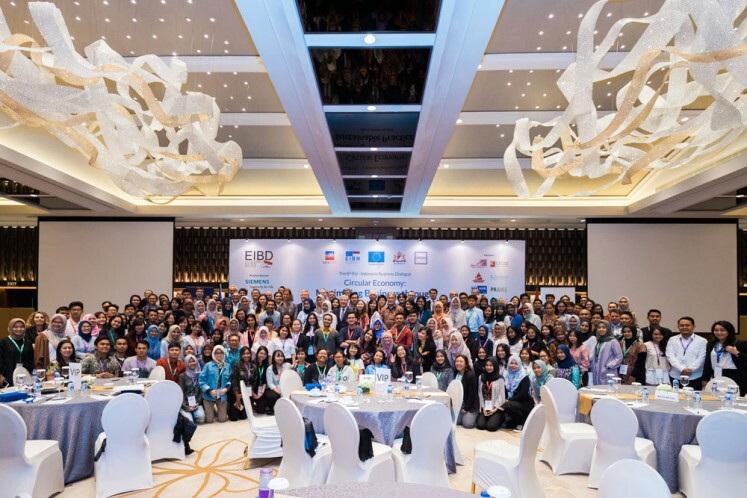 Sponsored by SIEMENS Indonesia, Adidas Indonesia and Danone Indonesia, the EIBD this year made a major breakthrough by discussing the important topic of sustainable business. 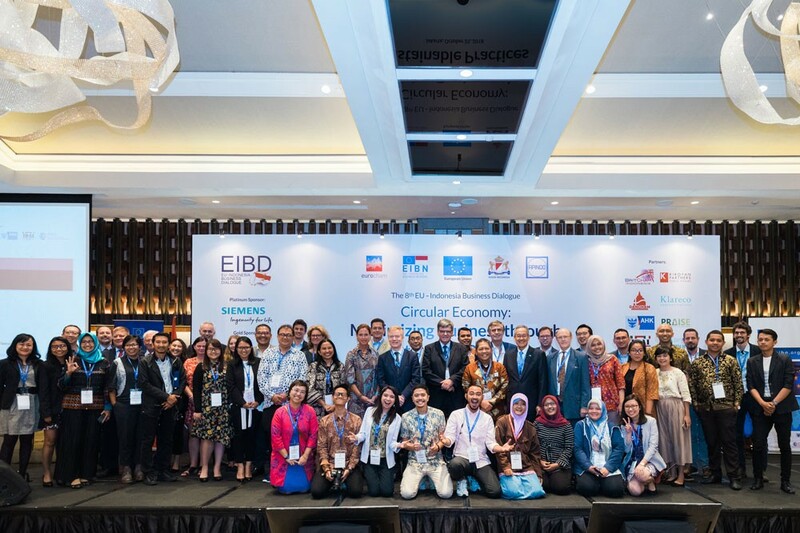 Realizing the importance of adopting sustainable practices and raising awareness on the issue, the EIBD 2018 adopted the theme of “Circular Economy: Maximizing Business through Sustainable Practice”. It was dedicated to discussing an approach that aims to minimize resource utilization by extending the life span of resources. 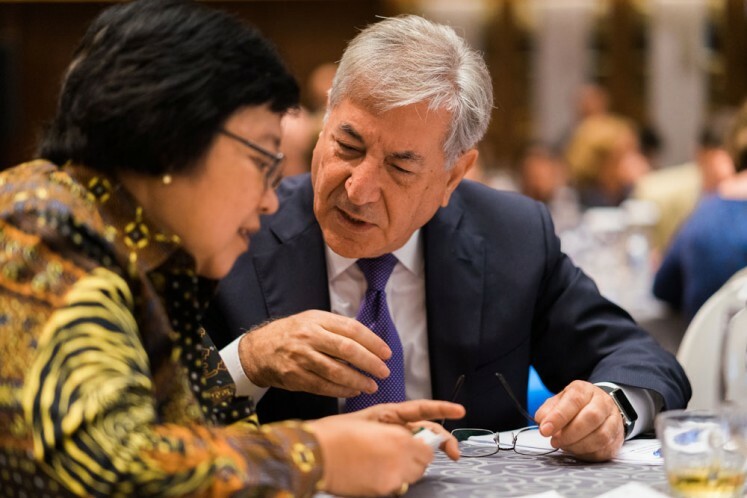 Environment and Forestry Minister Siti Nurbaya Bakar, and European Commissioner for Environment, Maritime Affairs and Fisheries Karmenu Vella delivered their keynote speeches at the EIBD’s Youth and Business Sessions. Both Vella and Siti Nurbaya discussed the circular economy approach. Two other representatives of the European Union, Kestutis Sadauskas and Filip Deraedt, were also speaking as panelists on the first panel of the Business Session on Circular Economy Dialogue alongside Ms. Rosa V. Ratnawati, director general for dangerous toxic materials and waste management at the Environment and Forestry Ministry. To represent the business side and share the current state of Circular Economy implementation in the country, Corine Tap of Danone and Frank van Woerden also joined this panel. This Business Dialogue kick-off panel was moderated by Yono Reksoprodjo of Kadin. Noke Kiroyan of Kiroyan Partners facilitated the second panel on Business Value and Circular Economy Practices (FMCG and beyond). In line with the panel’s theme, two business representatives shared their experience on circular economy adoption from a non-FMCG perspective, Daniel Loh of BASF Indonesia and Paolo Maggi of Tetra Pak Indonesia. Ratna Kartadjoemena of Potato Head also appeared as a panelist in the session showing how the approach can also be implemented in the Indonesian context. National Development Planning Agency (Bappenas) deputy director for environmental law enforcement Erik Armundito provided direction from the policy side. To conclude the whole event, the third panel session looked at how businesses can move forward from challenges and further encourage others to implement a circular economy. Sinta Kaniawati of PRAISE moderated this panel and was joined by Safri Burhanuddin, who is the undersecretary for human resources, science and technology and maritime culture at the Office of the Coordinating Maritime Affairs Minister, and Mohamad Bijaksana Junerosano of Waste4Change. EuroCham Board Member Wichard von Harrach also spoke at this panel on Business Capacity representing his company Jawa Power. As a concluding panel, a representative of Youth Dialogue was also invited to share their recommendation. EIBD 2018 also took a major step by inviting the Indonesian youth to participate in the Youth Conference of EIBD 2018, aiming to encourage youth and empower them to help overcome the waste issue. Starting early at 9:30 a.m., the Youth Conference kicked off with a plenary session with a distinguished list of panelists including Danish Ambassador to Indonesia Rasmus Abildgaard Kristensen, founder & CEO of DAMN I Love Indonesia Daniel Mananta, head of communications and public affairs at Bayer Indonesia Laksmi Prasvita, president director of Nestle Indonesia Dharnesh Gordhon, Corine Tap of Danone Aqua and Ratna Kartadjoemena of Potato Head Family. The Youth Conference was then followed by three breakout sessions held in parallel with three main themes on Make, Use and Return.